My husband and I both love traveling and we love traveling as a couple. Needless to say, our anniversary trips are usually the travel highlights of our year. Our first anniversary trip was a fantastic cruise to the Bahamas (which we enjoyed so much that we plan to go on a cruise again to mark our 10th anniversary or so!). We celebrated our second anniversary in the great land of Alaska which was so magical that it led to an everlasting love affair for me with glaciers. We did a road trip along the world famous Pacific Coastal Highway for our third anniversary which we totally loved. And for our fourth anniversary, we debated between a road trip from Glacier National Park to Banff to Jasper and back (my love for glaciers shows, right?) and tropical beach paradise i.e. Hawaii (my husband loves tropical beaches! Who doesn't, coming to think of it!!). Since we did a road trip only last year, we decided on Hawaii, hoping the glaciers won't melt so soon (Rest of the world, please co-operate and be conscious of your carbon footprint, so that when I do make it to the Glacier National Park, I can see the glaciers in all their glory ;). Once we decided on Hawaii, it was easy to pick the island. The story goes back to 2011 when I landed in the USA and visited one of our friends' house in Fort Collins in the first few months. It was there that I saw this travel magazine which has a featured story on Maui. One look at the cover page and I made up my mind that we are going there, someday. However, over the next few years, I realized that there are a lot more places which are equally beautiful and a lot cheaper too. But when one of my friends who bought a condo in Maui generously offered for us to stay there, we jumped at the opportunity. We even helped with shopping for her condo renovation and now her ocean front condo looks even more beautiful. Ocean view from the condo - You can't beat this! We stayed in Maui for a week and we did all the must-do touristy stuff. We went up to the Haleakala Crater to watch the sunrise, spent an entire day driving along the Road to Hana, visited Maui Plantations, went to Iao Valley State Park and most of the popular beaches. To watch the sunrise, we got up at 2:30 AM and made it to the top of the crater at 5 AM following a dangerously winding road to the top. We settled in a nice spot under the dark and beautiful star lit sky. In another 15 minutes, it began to dawn. Soft light began to slowly appear cracking through the dark. Then came the bright orange hues and shades of yellow. In about 25-30 minutes the sun began to slowly appear. I loved watching the transformation of the sky from star-lit to sun bright. I found the dawn more beautiful than the sunrise itself. 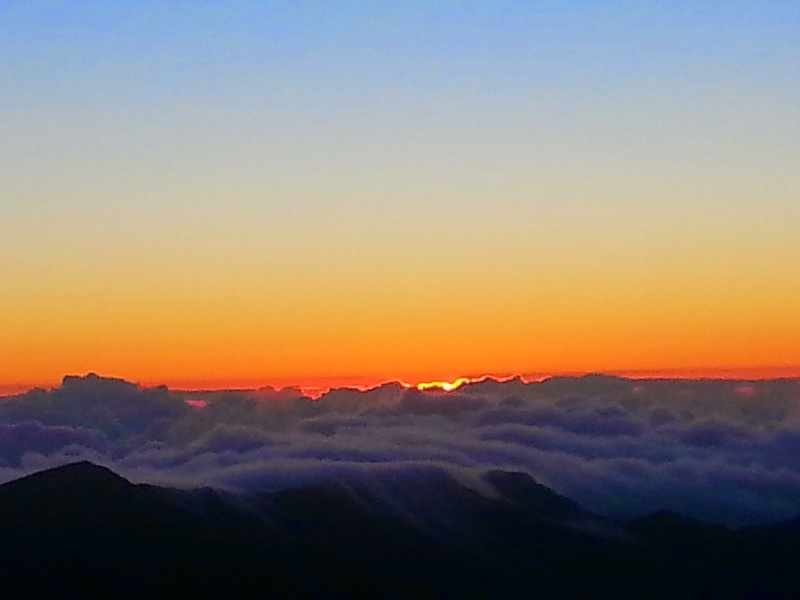 Tips for visiting Haleakala: If you are making the trip anyways, try to be there by 5 AM to be able to watch this transformation. You will love it. There is a visitor center which has a parking lot and if you drive up even further (though it is hard to see in the dark, yes you can drive up beyond the visitor center), you would reach the top which has a better view. At an elevation of 10,000+ feet, it is cold and windy on any day and taking a jacket and a blanket is highly recommended. 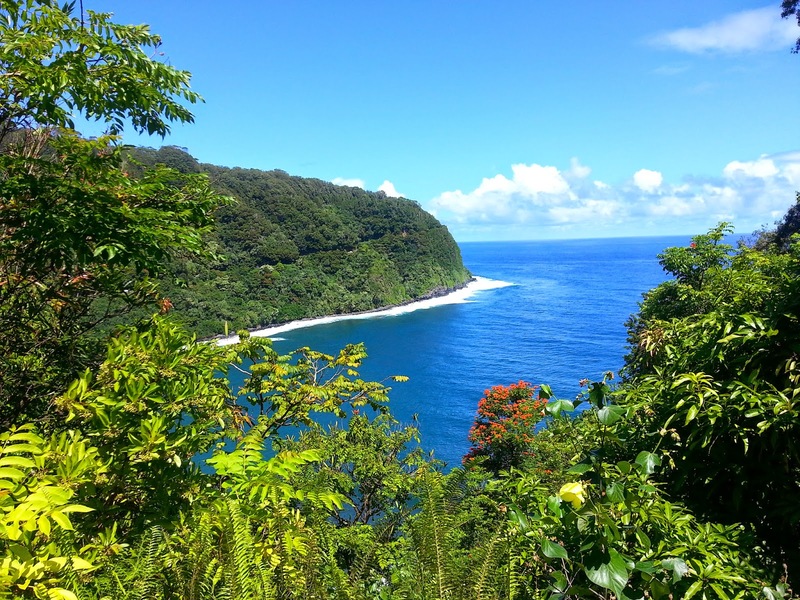 There is so much to say about the Road to Hana that it deserves a separate post in itself (which will be coming soon). 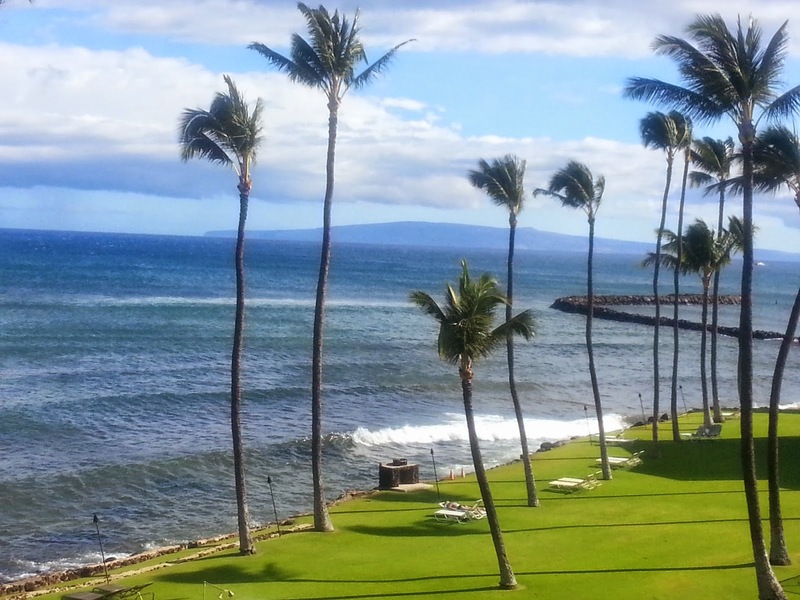 All I would say for now is, if you have only 2 days to spend in Maui, spend a day here! Iao Valley State Park ,which receives 400 inches of rain per year and is the second wettest place in Hawaii, needless to say has lush green vegetation. And Iao needle standing tall and green is one of the landmarks in Maui. There aren't too many marked trails there and we walked the Park in about 2 hours time. We spent a couple of hours at Maui Tropical Plantations walking around the place though we did not take their tram tour. Now, I must tell you this. The 19th parallel north latitude passes along Andhra Pradesh, India (the state in India where both me and my husband belong) and Hawaii. Given that both are in the same tropical belt, there are a lot of similarities in the flora and fauna in both these places - especially between the East Godavari district (district is similar to a county here in the US) in Andhra Pradesh and Maui. So, it wasn't very odd that we felt Maui looked and felt a lot like home (minus the pristine beaches and American amenities though). All the guava trees, abundant sugarcane fields, plenty of mango trees and endless coconut trees that we saw in Maui are exactly what we grew up amidst in East Godavari district back home. The different shades of hibiscus flowers and poinciana tree (flame tree) with its blazing red flowers are the everyday images from my childhood. So, when we saw these and several other tropical trees at the Maui Tropical Plantations, we felt super nostalgic. Now that we have covered the landmark places in Maui, it is beach time! Watch this space for more on that.